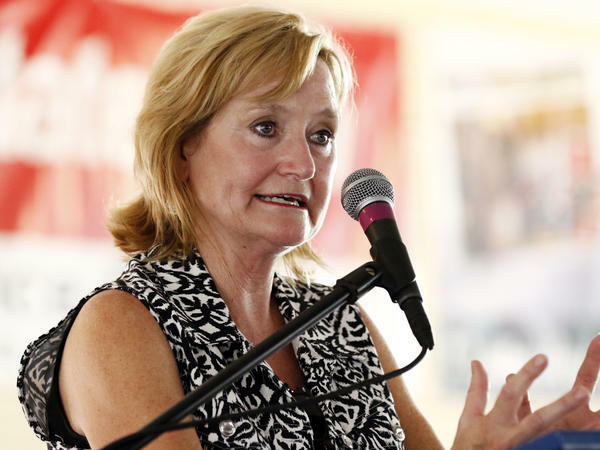 State Commissioner of Agriculture and Commerce Cindy Hyde-Smith has been appointed Mississippi's junior senator by Gov. Phil Bryant. Hyde-Smith, currently the state's commissioner of agriculture and commerce, will officially take over the seat on April 2, setting a new record of 23 women in the Senate. That will leave just one state — Vermont — that has never sent a woman to Capitol Hill. The chart below shows the years in which each state sent its first woman to Congress. Having sent a woman early to Congress doesn't necessarily mean a state continued a pattern of electing women. While Montana sent the first woman, Rankin, to Congress in 1917 — and again in 1941 — it has not elected any other women to Congress since. Importantly, this history does not show when voters in each state elected their first woman to Congress. Indeed, with Hyde-Smith's appointment, Mississippi continues a nearly century-long pattern. In many states, the first woman sent to Congress was appointed or elected in a special election for a seat vacated by a man (often, this was the woman's deceased husband). In fact, it was just 40 years ago, in 1978, that the first woman was elected to the Senate without having previously finished someone else's term, according to the Rutgers Center for American Women and Politics. Hyde-Smith won't serve long as an appointed senator; she will have a special election in November to serve out the rest of Cochran's term. Her campaign already sent emails touting support from many of the state's GOP leaders and outlining how she has supported President Trump's agenda. Were Hyde-Smith to win in November, she would then have to run again in 2020 for a full six-year term.